Students walk through an entrance above which is engraved "Stonewall Jackson" at Jackson Elementary School in Oklahoma City. On Monday night, the Oklahoma City Public School board approved new names for three schools originally named after Confederate Civil War generals. Jackson Elementary, formerly named for Stonewall Jackson, will now be Ross Elementary in honor of Mary Golda Ross, a Native American and Oklahoma mathematician. Stand Watie Elementary’s new name is Esperanza Elementary. Esperanza is the Spanish word for hope. Lee Elementary, which originally honored Confederate commander Robert E. Lee, will change to Adelaide Lee Elementary, after a local philanthropist from the early 1900s. Over the past few months, community members submitted name suggestions to the district through an online survey. Students at the three schools then researched the suggested names and voted on their favorite. The board’s decision to change the names came last fall, after a white nationalist rally in Charlottesville, Virginia turned violent. For three weeks, local historians have been working to figure out who two Oklahoma City Public Schools are named after. Now, they think they’ve figured it out. The mystery arose when Oklahoma City Public School officials announced they were thinking about changing the names of four schools thought to be named for Confederate generals. This worried local historians who said that two of those schools may actually named after former city leaders. 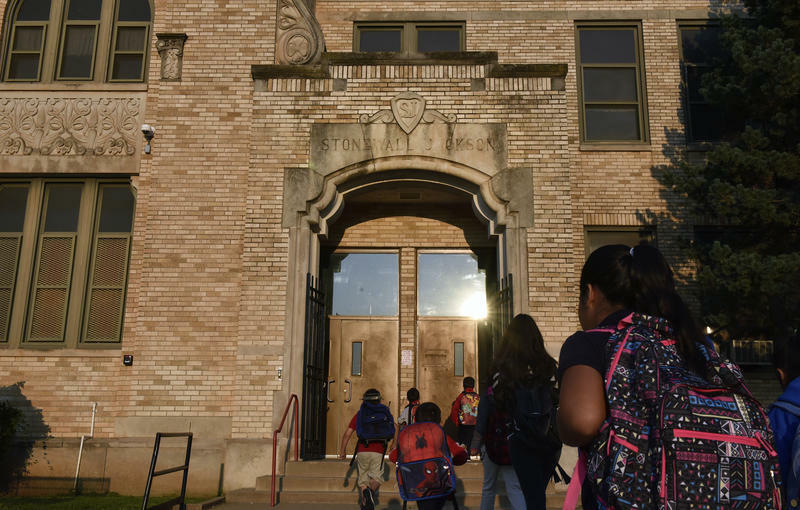 These Oklahoma City Schools Are Named For Confederate Generals ... Or Are They? District leaders in the Oklahoma City Public Schools will soon head out into the community to ask this question: Should the four elementary schools they believe are the namesake of Confederate generals be renamed? The origin of that question goes back several weeks. Right after the violence broke out in Charlottesville, Va., Charles Henry, a school board member in Oklahoma City, voiced his concern about the name of Jackson Elementary, which he says had been bothering him for a while.